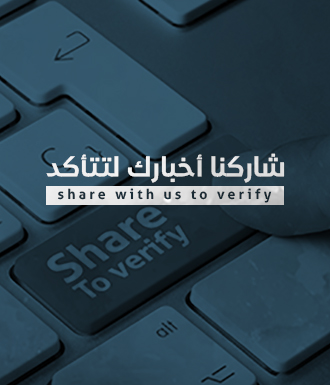 What is the truth behind doctoring the photo of young Syrian men taken to compulsory conscription in Damascus? 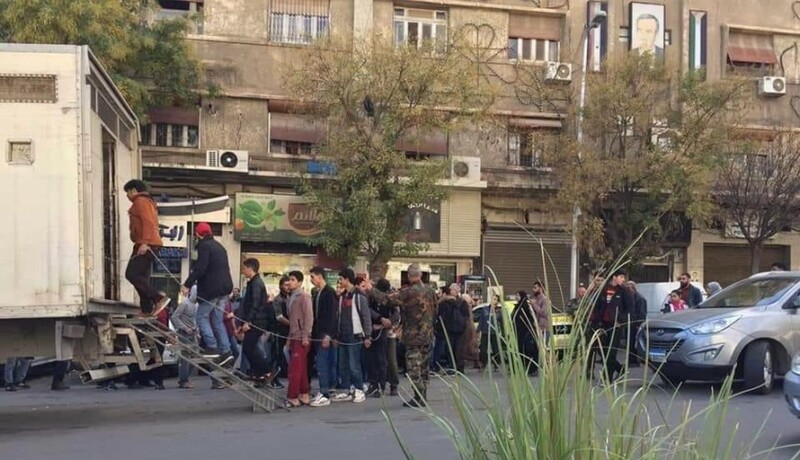 Social media news pages and websites shared a photo of young men lining up to go in a white truck while they are connected to each other by a metal chain, the pages and websites said the photo of a Syrian young men taken to the compulsory conscription in Damascus city. Pro-Assad regime pages and accounts doubted the photo and said the metal chain was photoshoped and shared identical photo but without the chain but didn't deny the incident. 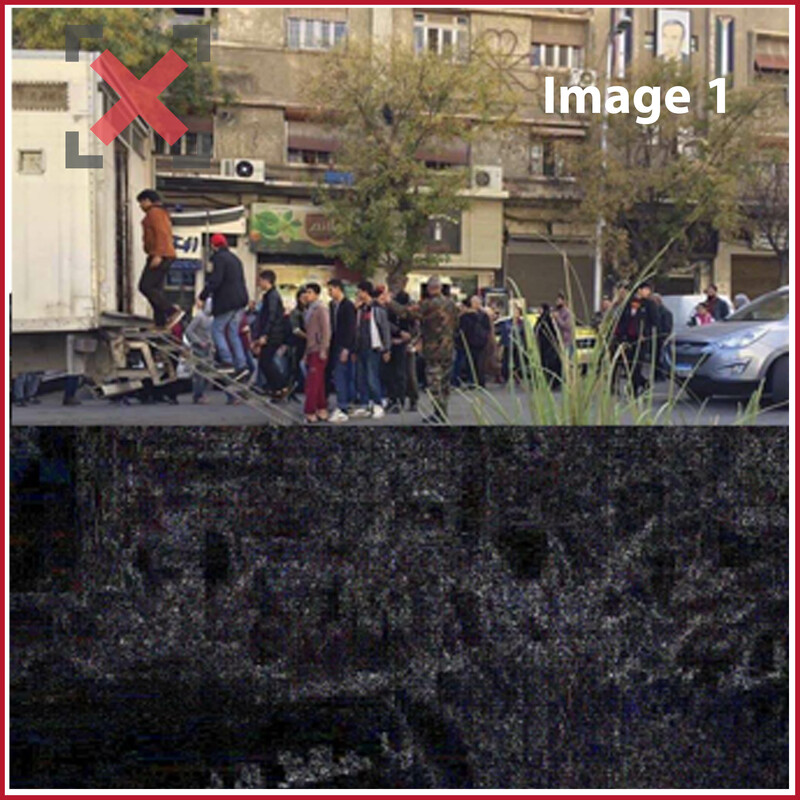 Verify-Sy analyzed the photo with photo forensic programs and it turns out that the photo published without the metal chain is the one which was edited and the one with the chain is the original and wasn't edited. 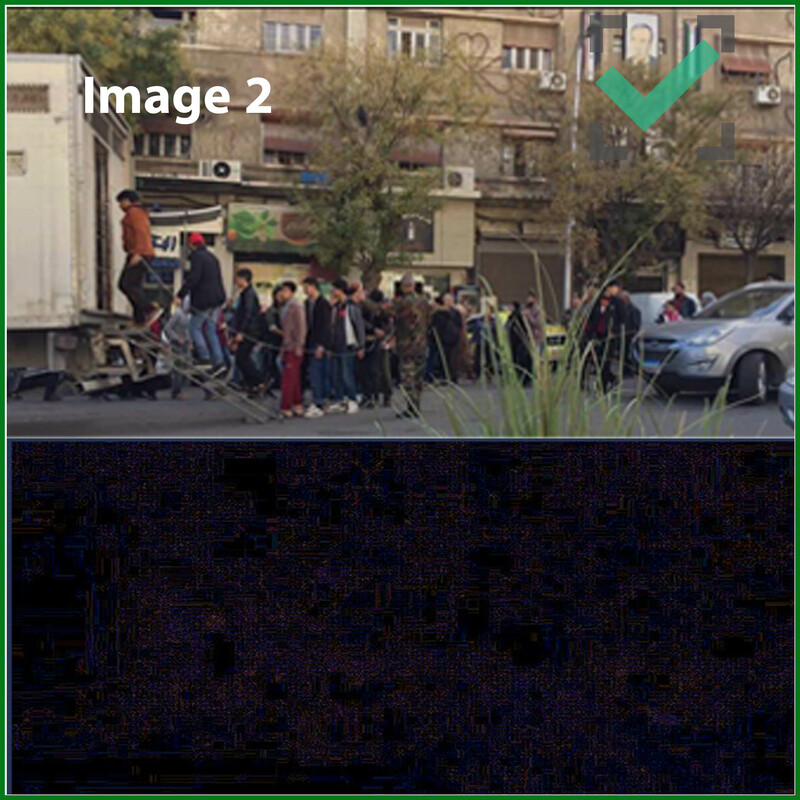 After analyzing the photo shared by the pro-Assad regime media Verify-Sy found the contrast in the first photo high compared to the second photo which means the photo without the chain was edited. 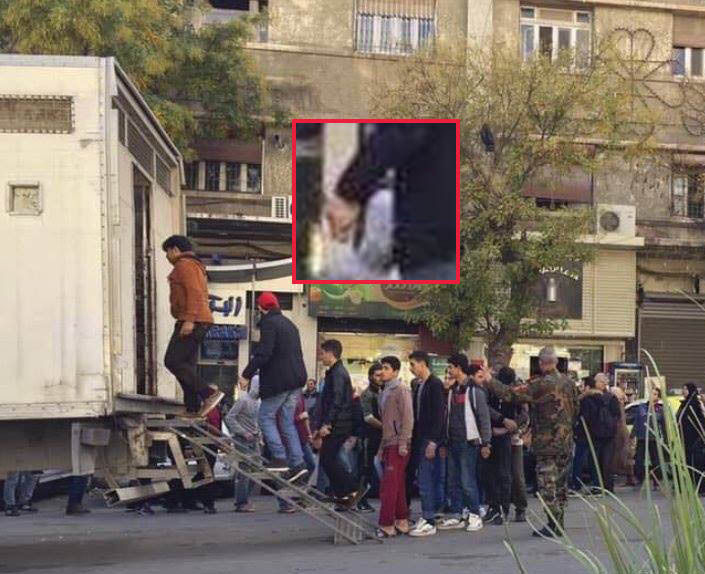 Verify-Sy also found that the remnants of the chain in the photo on the hand of the guy who was wearing the red hat in the photo shared by the pro-regime accounts.